Organic specialist Vintage Roots also embraces natural and low sulphur wines, and over the past 30 years has built an excellent reputation for its portfolio. They also supply organic beers and spirits, all available from vintageroots.co.uk, where UK mainland delivery is £6.95, free if spending £125 or more. 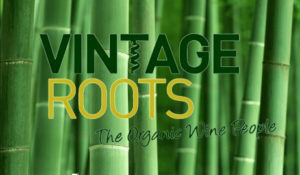 Vintage Roots is a sponsor of wine-pages.com. (2016) A truly different and truly enjoyable Prosecco, only frizzante - gently sparkling - rather than full-on spumante and closed with a regular driven cork rather than a Champagne-style stopper. Very crisp, clean, wtih an apple and citrus style, it's a grown up yet easy-drinking and food-friendly Prosecco. (2016) Always delightful, Torelli's classic Moscato d'Asti is only softly effervescent and has such charming sweetness, feather-light and yet full to the brim of bursting fresh pear flavour. A summer stunner and so, so easy to drink. (2016) A favourite of mine in previous vintages, this zero dosage organic Franciacorta comes from a single vineyard and spends 60 months on the lees. It's a 50/50 blend of Pinot Noir and Chardonnay, the base wine fermented and aged six months in barriques. Just delicious richness here despite the absence of sugar, the shimmering lemon acidity is superb, just vivacious and sparky, with supreme brightness, the ripeness of fruit balancing the acidity. (2016) Champagne Fleury is a favourite producer of mine, biodynamic, and low sulphur is the regime for this 2005 vintage Chardonnay wine. It shows classic bruised apple, complex oxidative notes, and then it has lovely precision and really juicy, striking acidity. Lemon pith and zest streaks across the palate, in a stylish and layered Champagne. (2016) Beautifully punchy Riesling this, with a hint of sweetness, but such lovely shimmering clarity of streaking lime and lemon, some delicate floral finesse. Another summery delight. (2016) A natural wine with minimal sulphur, long skin contact and closed with a beer bottle-style crown cap. Clear, yellow colour, fresh orchard fruits, clean but not hugely aromatic, still a pleasing orange and sprightly Cox's pippin fruitiness. Long and tangy, this has plenty of crunch and zipping acidity, and is a fine alternative Sav Blanc from New Zealand. (2016) A definite touch of flint and gunsmoke in this biodynamic Sauvignon Blanc from Bordeaux, then hints of sweet mango and nectarine on the palate and a streaking freshness of citrus into the finish. A lovely wine, pushing all sorts of delicious buttons, but with a savoury aspect too. (2016) Despite the name, which doesn't do much for me, this was lovely: in a Mâcon style with a little warming toast and vanilla note, and Burgundian clarity showing some cream and very fresh apple and melon fruit before a crisp finish. (2016) From Tupungato, and made from 100% organic grapes grown at 1,200 metres and aged in oak for 10 months, this is a powerful, concentrated wine with flinty, complex sulphide notes, some buttery weight and decisive fruit, the great palate concentration balanced between opulence and freshness. A fine Argentinean Chardonnay. (2016) A wine with no added sulphur from northeastern Spain, this has a fine herb and sharp apple nose. Lots of juicy pear on the palate and really intense, interesting flavours where exotic fruit like juicy nectarine marries to delicious thrust and freshness. 10% Chardonnay joins the Xarel.lo, and I wonder if that component saw a touch oak to add some creaminess? (2016) Flirting with 'natural wine' in concept and execution, this is made from the Juhfark variety, grown biodynamically on the volcanic soils of Somló in Hungary. Golden hued, honeyed stuff, with apricot and walnut, creamy and ripe, and very seductive. The volcanic soils give terrific precision and bright acidity, but the palate shows a touch of mint humbug, concentration and absolutely delicious balance. Shimmering, fresh, but substantial, different and delicious. (2016) This wine will be bottled under screwcap from next vintage, but this was a perfectly clean. Bright pink, cool, with pomegranate and watermelon fruit and dry cherry it has fresh fruit and balance on the palate, and clean, dry acidity too. A succesful Cabernet Sauvignon, Cinsault and Merlot rosé from close to Carcassonne. (2016) I note that one of Vintage Roots' customers describes this as "enjoyably rustic," which is an excellent two-word summary. Vinous, cherry and red plum, medium bodied but good fruit and concentration. A fine little organic Cabernet Sauvignon, Grenache, Merlot and Syrah blend, and très useful. (2016) Sicily's Frappato usually delights and so it is with this light, fresh and buoyant red, a touch of ink and earth adding some seriousness, but it's about the wild strawberry lift and freshness. Dry on the palate, there is some intensity here, the finish showing a little more tannin and seriousness than some, but it remains joyous, buoyant and fruit-filled - just as it should be. (2016) Not cheap, but very, very good, this has a big, bloody, ripe, truffle and game nose, with delicious depth and concentration, the mouth-filling mid-palate sweetness and the tannin grip of the finish giving this authority but not losing its innate sexiness. French oak ageing rounds the finish. (2016) A big bold wine, loaded with fruit and extract, a deep sinewy mouthfeel and big tannins too. Bold, moreish and very impressive Grenache and Syrah blend from Vacqueyras next door to Châteauneuf-du-Pape, and surely structured to age well for several years. (2016) A step up on the very good 2012 vintage, this organic red from Bulgaria is deep, firm, meaty and glossy, with concentrated black and red fruit that's plummy dry and dusty, with cocoa and spicy fruit concentration on the finish. Great value. (2016) What a beautiful organic wine, with no added sulphur, from the always interesting Tulbagh region of South Africa. It has aromatic lift and an essential, ash and mineral brightness, and lovely red berry fruit. Bold and juicy, it has elegance to the tannins and the cherry-fresh acidity. Delightful. All wines available at time of review from vintageroots.co.uk.